Dr. Harve Thompson was born in Goodland, Kansas, where he grew up with his family. After attending Kansas State University and Illinois College of Optometry, Dr. Thompson spent his post-graduate time as an officer in the United States Army at Brooke Army Medical Center in San Antonio. After his service, Dr. Thompson practiced in Tallahassee, Florida, founded Cheyenne Vision Clinic in Cheyenne, Wyoming, and now owns and operates Advanced Eyecare. Dr. Thompson and his associate, Dr. Jon Dishler, collaborated in the first Lasik procedures performed in Colorado in the mid 1990′s and Dr. Thompson has since co-managed thousands of LASIK patients. 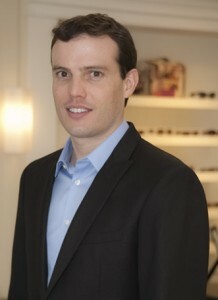 His main focus at Advanced Eyecare is primary care optometry. 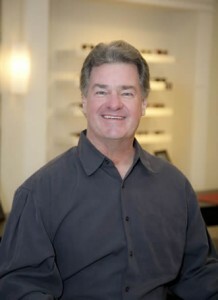 Dr. Thompson and his wife Kelly have poured their hearts and souls into Advanced Eyecare for sixteen years. The Thompsons have three children, one of which, James, works for the office. Mike was born and raised in southern Wisconsin. He came to the University of Northern Colorado for his Bachelors degree in Biology. Mike was accepted into the University of Missouri St. Louis College of Optometry in 1982. During Mike’s time in Missouri he participated in several research studies involving contact lenses and published articles in many professional optical publications. Capping off his years at UMSL Mike was awarded the Bausch & Lomb contact lens scholarship and was named Clinician of the Year at the school clinic. Mike is a member of the American Optometric Association, the Colorado Optometric Association, and is certified for Therapeutic Pharmaceutical Agents. He is licensed in the states of Colorado, Wisconsin and Wyoming. 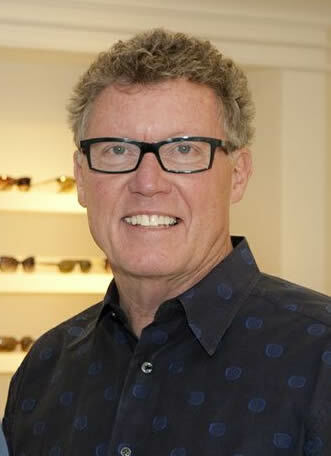 Mike has been practicing optometry for over 26 years and has a thorough knowledge of optical diseases and the fitting of all types of contact lenses and glasses. In his free time Mike enjoys spending time with his wife, Judy and two daughters, Katelyn and Amanda, golfing, playing the guitar and piano and watching sports of all kinds. James Thompson works in the optical, as well as the clinical side of the office. He researches and selects the frames for the optical. Also, he is the medical billing specialist. James has been a dedicated member of Advanced Eyecare for over a decade and he loves his job. 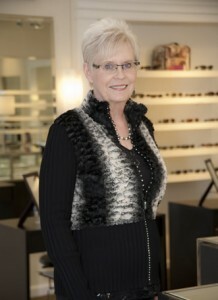 Arlene has been with Advanced Eyecare for four years. As our receptionist, her number one priority is providing excellent customer service and to make our patients feel welcome. Arlene moved to Fort Collins five years ago from Illinois. She has one daughter and three grandchildren. Arlene loves to spend time at her sister’s log home in the mountains, four wheeling and enjoying the peace and quiet.